Woohoo, craft beer can still sponsor what now? In the wake of Budget 2014 with 10 cents added to the pint (before VAT being applied) and the announcement that minimum pricing is to be introduced, Government also decided to put off the banning on alcohol advertising at sporting events. Various sporting bodies and associations breathed a sigh of relief because it removed the risk of losing a valuable source of income. 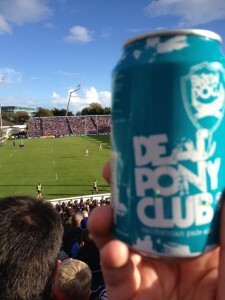 This will of course be of little benefit to Ireland’s craft breweries but the growth in independent breweries elsewhere have seen them encroach into the previous taboo area of mainstream sports advertising and sponsorship. Take for instance that the second-tier of English rugby is the Green King IPA Championship. Marston’s Pedigree is the official beer of English cricket and its English Pale Ale is a big seller at Lords. The Kent county cricket team is sponsored by Spitfire. The best craft beer sports sponsorship link-up has to involve newly arrived to Irish shores Dale’s Pale Ale from Colorado’s Oskar Blues Brewing. 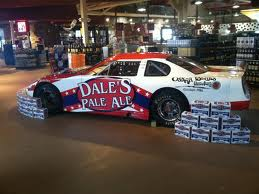 It holds the honour of being the very first Nascar-branded beer. With the Heineken Cup seemingly in disarray and a new competition structure in the offing, might we see some interesting sponsorship deals? For example, the Cork County teams being sponsored by Franciscan Well? Singha is now the official beer of the 2015 Rugby World Cup but if Ireland hosts it in 2023, will one of our existing independent breweries provide the official beer? Unlikely but I’d settle for more choice at sports venues. However, they’d limited to draft or taking a page from US craft breweries, cans. I don’t think too many Irish breweries would want to produce beers in plastic bottles (although maybe the technology will improve over time) because they’ve left that behind in the early home-brewing days. 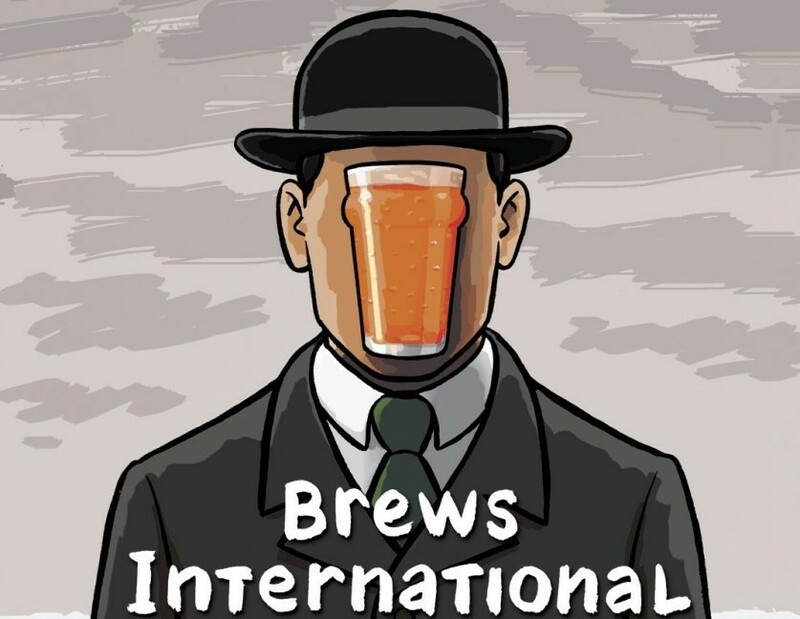 So in short the wasn’t too much to cheer the Irish independent brewers in the Budget, except for the fact that the 9% VAT rate is retained and we have seen the growth in pairing good food and beer. Also, there were positive measures introduced to support entrepreneurs such as changes to the Employment and Investment Incentive Scheme and Capital Gains Tax. The ‘Start Your Own Business’ scheme grants a two-year exemption from income tax to founders who have been receiving social welfare for fifteen months or more (up to a limit of €40,000). This could be an opportunity for Beer Ireland and the Taste 4 Success Skillnet to really make a difference because those already on the live register availing of their courses/network could be really encouraged to go out and start their own brewery. Let’s hope these measures work.